Participating in this trip ensures you’ll end the ski season with a bang! Year-in and year-out Ischgl proves itself to be one of the best trips TSC offers. Make sure to sign up opening night: Ischgl always has a waiting list! The Ischgl resort is a part of the international Silvretta Pass offering some of the best skiing in Austria. In total, the area offers an awesome 310 kilometers of terrain linked by lifts and free ski buses. Beginners will find the north-facing slopes are long, open runs perfect for practicing turns and improving overall form. Advanced skiers, don’t feel slighted. The 100 kilometers of off-piste will provide you with an enjoyable challenge too! Ischgl is also known for its nightlife and internationally famous events. If you wish, you can start the party as soon as you leave the slopes. It’s common to see skiers dancing in their boots late into the night. 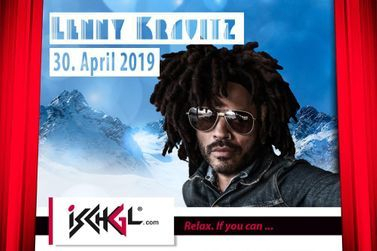 TSC ventures to Ischgl the last weekend of the ski season as it draws to a close with their famous “Top of the Mountain” concert. Always headlined by a top international star, the mountain-side concert never fails to entertain. Past stars include Alanis Morissette, Tina Turner, Jon Bon Jovi, Peter Gabriel, and P!NK. This year! Lenny Kravitz! Don't miss out on this amazing opportunity! !